Expect mobile phones, tablets, cameras, TVs and more from Sony in one of its most important press conferences of the year. On the ground in Berlin, handling liveblog duties, are the redoubtable Richard Trenholm (@rich_trenholm) and Steven Shankland (@stshank). I'll be here in NY busily pasting in links and comments and providing appropriate Sony related patter. So, what do you all want to see? The long-awaited successor to ATRAC? Blu-Ray via Bluetooth? ANOTHER proprietary smartphone-only VR headset? Lemme know! Yay, video! I'll shut up now, super fans. Hundreds of press are in the hall, whipping out laptops and cameras to get ready for Sony's IFA news. As you may have gathered, this livestream is Sony's official flak feed. Rich and I will provide patented CNET snark to help temper the flow of propaganda. As you can see from the photos and livestream, this is a pretty sizable event, taking over a good portion of one of the vast exhibition halls here at IFA. Most excited about the Z3 compact..
What will Sony unveil? The tension is palpable. Lights have gone down -- eyes down for a full house, folks. I count 2300 people watching. So...how you guys doing? watching the liveblog, that is. 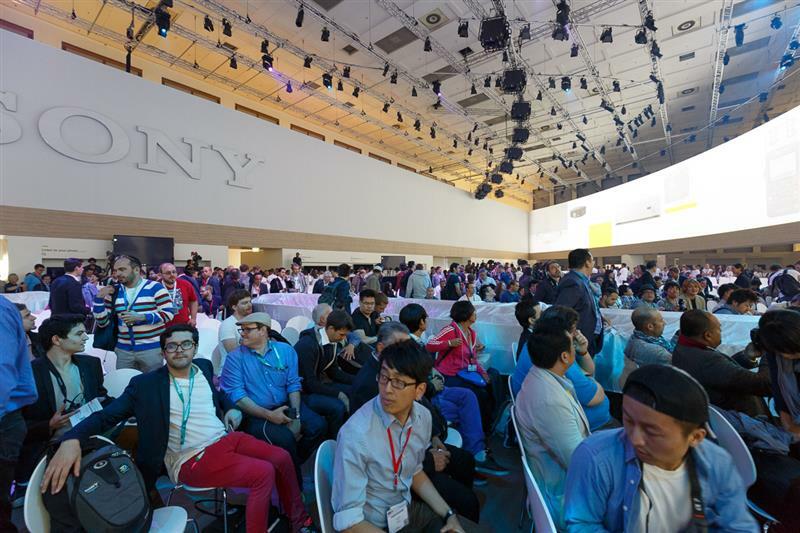 Bombardment of lifestyle images to kick us off, showing off the breadth of Sony's products. 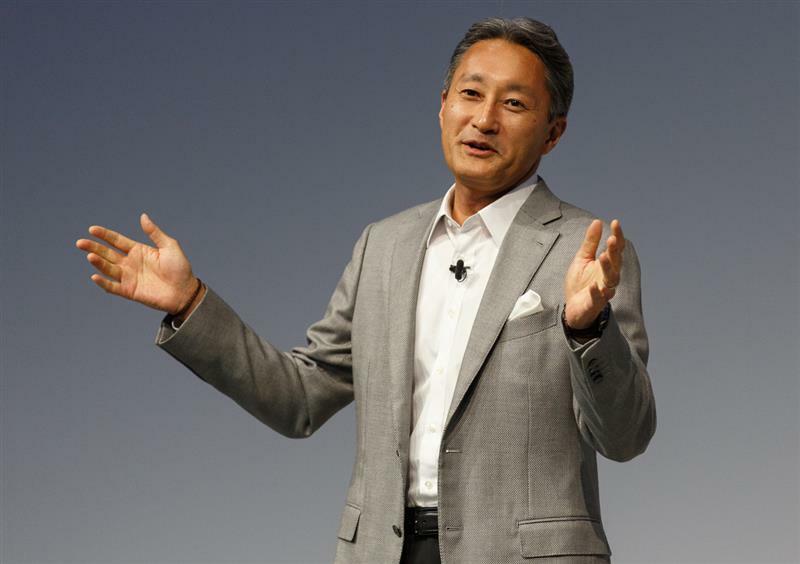 Ladies and gentlemen, Kazuo "Kaz" Hirai, the President and CEO of Sony. 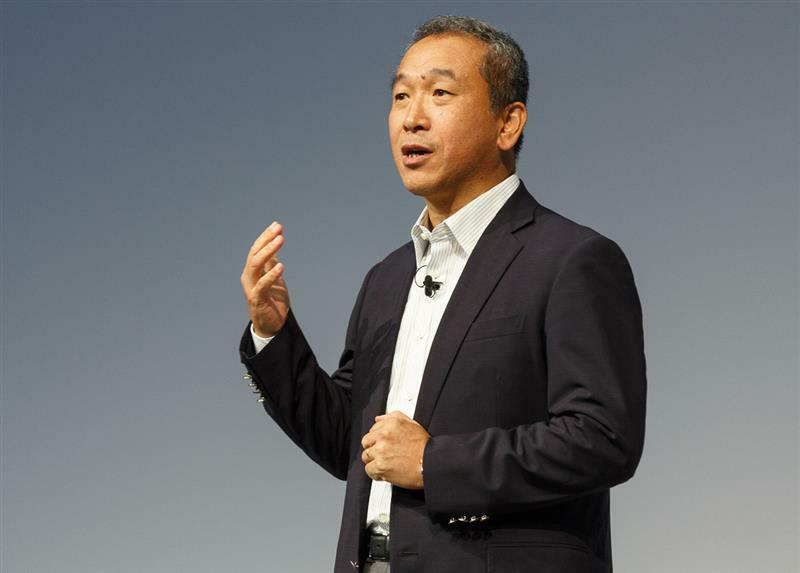 "What is driving value at Sony is our desire to bring you great products," says Kaz, "not just good ones." "There is a lot to talk about today." Kaz is talking about the Japanese sense of "kando", which is when you encounter something of exceptional emotional excitement -- the "wow" factor. Now we're recapping CES with a video counting all those "Wows" -- 23 "wows" in the CES presentation. Sony lampooning itself there. "Making objects of desire means that we can make your lives better." 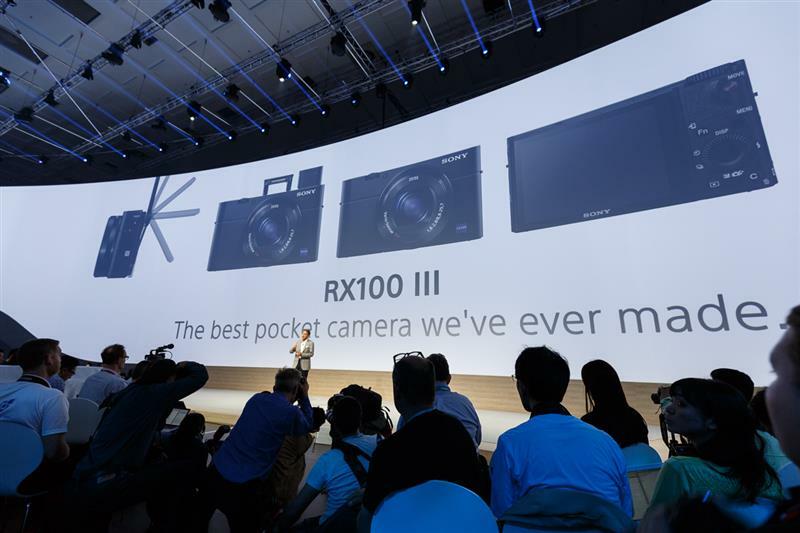 Recapping recent camera launches like the RX100, new Alpha cameras, and last year's quirky QX100. Accent on the QX series, a lens-only line that's designed to work with your phone. Now Kaz is talking about Sony's pro cameras. Now we're on to recapping recent Xperia phones like the X2. We're fans of recent Xperias, especially for the waterproof design. That's definitely not because we're prone to dropping phones in drinks, oh dear no. Meanwhile, bone up on the Xperia Z2 review, a phone that scored 9.0 from CNET. And now a recap of gaming, "one of the most important core businesses here at Sony". This year of course the PS4 landed. More than half of PS4 consoles have registered for Sony's online services. Only half? "We're expanding the PlayStation experience way beyond the home into cloud-based services." Wondering why the PS4 scored higher than the Xbox One in CNET's review? Now we're going to focus on the European market for a bit. 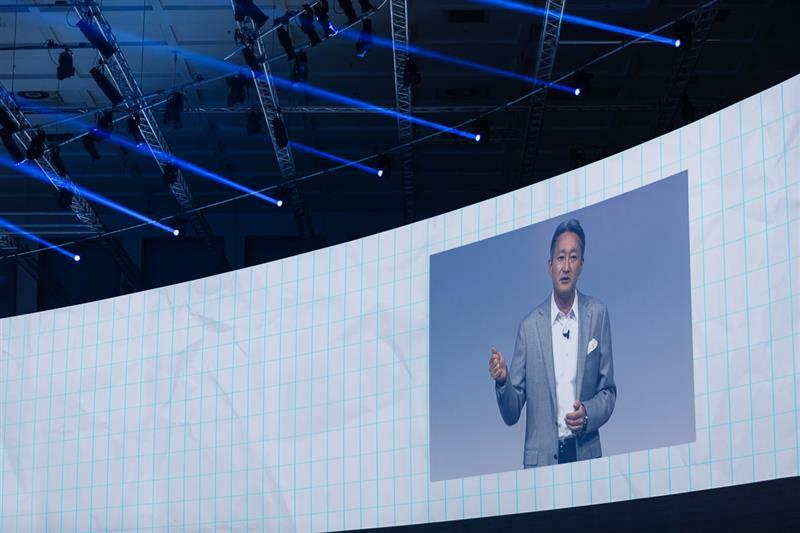 Welcome the President of Sony Europe, Masaru Tamagawa. In 2013, Sony's TV sales went up 70 per cent in Europe over the previous year. That's a lot of tellies. What we don't know yet: Pricing, and US availability. The first mention of 4K TVs: coming in October, in 75- and 65-inch, the S90B UHD TV. Addressing the elephant in the room: content. What's the point of forking our for 4K if there's nothing to watch? Tamagawa now discussing 4K transmission of recent sporting and theatrical events, including the play Warhorse.